Walking into a brand new space is one of the best feelings we know. Well-designed homes have the power to make even the simplest daily tasks a surprising treat — which is profoundly life-changing when you consider that you’ll be doing them hundreds or even thousands of times a year. Some of our most memorable projects started from the ground up. We love the challenge of big, complex projects and the joy they bring to our clients when they’re executed with the level of fit and finish we bring to our work. 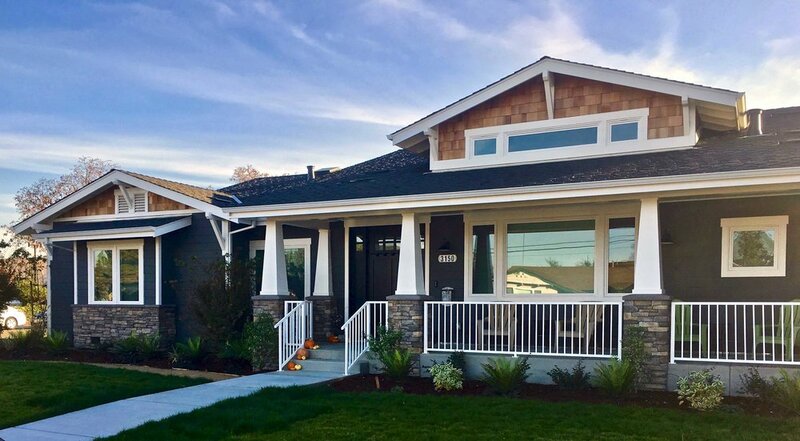 We’ve built everything from modern, tech-forward homes in the heart of Silicon Valley to highly custom personal homes way up in the coastal mountains. What matters isn’t a project’s style, but the quality of relationship with our client and a willingness to work collaboratively toward a space that’s built to last — and delight. Some of you just purchased a home. Some of you have young children who (faster than you’d like) will be teenagers vying for their own private spaces before they leave the nest. Some of you have lived a long, successful life and are planning to make your retirement as comfortable as possible. Or, perhaps you’ve simply had enough of that green 1970s tile in the hall bathroom. Remodeling is a kind of architectural alchemy: When an existing space is redesigned to meet not only who you are today, but who you want to become, it has the power to make your entire home feel new again. We regularly rebuild kitchens and bathrooms, create room additions — even second-floor suites. The most important thing to us is ensuring that the new space you’re building won’t just make your life feel new today, but better tomorrow.